While drafting this post today as I was reading the content I could not stop myself from crying when I read the last paragraph .It may sound an exaggeration to many readers 'crying while I worked"? But this is true and I am sure many regular readers who are reading Narsimha Swami ji's Biography would also undergo the same emotion as I went. Words will certainly fall short to illustrate the unparalleled and unique devotion of Narsimha Swami ji .He attained such a pinnacle of devotion where many of us cannot even think of reaching . It is meaningless to even dare to compare our devotion with any of Baba's intimates,still I feel blessed by Baba who has bestowed his grace on servant like me to spread the teachings,stories and leelas of our Sathguru .With the blessing of Sai Baba this website has extended the Sai seva by bringing the Biography of Pujya Narsimha Swami ji on Gurupurnima day which was unknown to many Sai devotees . (On Diwali Tamil Blog has been released with grace of Baba ,where opening 8-9 posts are biography of Narsimha Swami ji in Tamil ) . Dear readers ,I have been receiving several mails from few devotees requesting to publish Swamiji's Biography, in other blogs/websites and in different language for the benefit of other fellow devotees.My humble request to all those devotees who have requested and those who wish to publish this ,to wait for a little while and let the entire Biography be published in this website,than they can publish it in their sites. Till now 14 chapters has been published, in continuation to that I am posting the 15th chapter today . Narasimha Swamiji attained Self-Realization on 29th August, 1936, and in right earnest set out to distribute the benefits of Sai-Treasure that he obtained from Sai Baba. Shuddhananda Bharathi Swamiji was a contemporary of Narasimha Swamiji and also his companinon first at the Ramana Ashram in Tiruvannamalai and later at the Upasini Baba Ashram in Sakori. On watching Narasimha Swamiji’s peaceful and glowing face, Shuddhananda Bharathi Swamiji went into a dilemma. Shuddhananda Bharathi Swamiji was staying with Sai Baba for sometime at Shirdi. He was an inmate of Upasini Baba’s ashram at Sakori. He also stayed for sometime at the Ramakrishna Mutt at Calcutta with direct disciples of Ramakrishna and Swami Vivekananda. 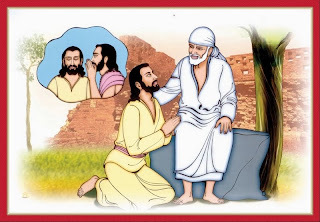 He made pilgrimages to Badri, Kedar, Rishikesh, Haridwar, Kashi etc; He was well versed not only in Ramayana, Mahabharatha, and Bhagavatham but also in Koran and Bible. He was in spiritual quest much earlier than Narasimha Swamiji. In spite of all these pre-requisites and other qualifications he had a wandering mind and did not have the stillness of mind. He was far from the goal of Self-realization. Intimate contact with realized souls like Sai Baba, Ramana, Upasini Maharaj had not brought him peace of mind. He made a submission to Upasini Maharaj about his disappointment. 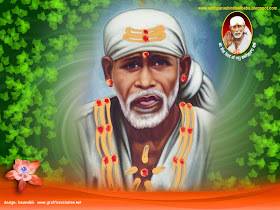 He expressed his happiness at Narasimha Swamiji’s realization through Sai Baba’s grace. Upasini listened to him patiently and told him he would answer the question later in the same night. Incidentally he invited Shuddhananda Bharathi Swamiji to attend a dinner at Upasini Baba’s ashram that night. Elaborate arrangements were made for the dinner. Many dishes-sweets and savourites were prepared. At the right time Shuddhananda Bharathi Swamiji arrived at Upasini Baba’s ashram. He was the only guest and was honourably well received. He was served several varieties of food items. Upasini Maharaj did not join him for dinner but made him eat different sweets and food items. Pleased by the generosity of the host, Shuddhananda Bharathi Swamiji ate to his heart’s content and in fact over and above what his stomach could take in. At the end of the dinner, it was even difficult for him to get up. Virtually he had to be lifted and carried to the rest room. It was a restless night for Shuddhananda Bharathi Swamiji. He developed severe pain in his abdomen. He had continous diarrhea. He had not a single wink of sleep. He spent the entire night in agony. As the next morning dawned, he was vexed with life. “Your present condition answers your query. You have sufficient scholarship and wisdom. But you do not have the one pointed goal. You are only accumulating knowledge but you don’t know what exactly you want to achieve by these pursuits. Yours is more a diarrhea of knowledge. Hence you are yet to get realization. Narasimha Swamiji’s one and only goal was to secure a Sadguru who could guide him to Self-Realization. All his efforts were in this one pointed direction. 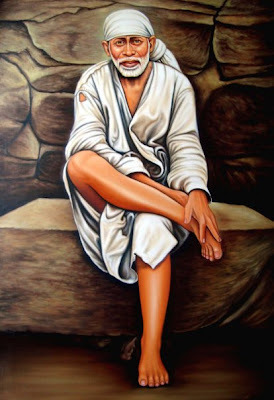 After eleven years of Herculean efforts for his one-pointed goal, Sai Baba blessed him with Self-Realization”. This revelation of Upasini Maharaj about Narasimha Swamiji’s efforts ‘in quest of a Sadguru’ is a beacon light for all Sai devotees. After realizing Sai Baba, Narasimha Swamiji had another thrilling experience at Sakori. One day, may be in the month of November or December 1936, Upasini Maharaj held an open feast. There were many invitees including Swami Ram Baba who lived in the company of Sai Baba for a long time. As the feast was about to end, an old man suffering from leprosy came along. The leper had a frightening appearance. He had only one eye; blood and pus were oozing from his disfigured lips, nose and eyes; he had open ulcers all over his body. As if this were not enough, an awful stench also emanated from his body. Everyone was aghast at his sight. Imagine Swami Ram Baba’s bewilderment when Upasini Baba told him: “Feed the old man with your own hands. He is not able to eat by himself.” Swami Ram Baba pulled himself together as best as he could and started feeding the repulsive leper. 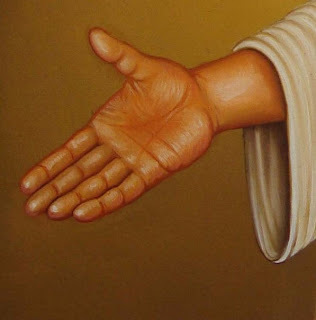 He however took great care to see that his hand did not touch the bleeding lips of the leper. As a result, some of the food kept dropping down. After the leper had eaten and walked away, Upasini Maharaj said to Swami Ram Baba: “Pick up the food from the plate and eat it”. To eat the food that had been contaminated by the bleeding lips of the leper seemed impossible to Swami Ram Baba. Despite a desperate effort, he could eat only one morsel. “ Did you see how swiftly the old man walked away? Is it possible for one so terribly afflicted by open sores and leprosy to walk like that? Do you know who came here in the garb of a repulsive leper? It was none other than Shirdi Sai Baba himself. Only Narasimha Swamiji who sees Sai Baba in every body could identify him”. Narasimha Swamiji realized with great joy that Lord Sainath himself had come to instruct him not to attach importance to the external superficialities of existence but to realize that Lord Sainath and Lord Sainath alone pervades everything and every being. This incident has played a very significant part in shaping Narasimha swamiji’s outlook and apporoach to life, placing him on a firm spiritual foundation. The invisible hand of Lord Sainath was guiding him in every moment of his life and Narasimha Swamiji’s surrender to Sai Baba was total.To be continued..
2 Oil Paintings: Courtesy -Navneet Agnihotri. dear manisha you are doing great work sai bless you.you are sai bless child.keep up this GREAT WORK.sathguru sai nath maharaj ki jau. I thank you for all your words of encouragement and seek Baba's grace to bless each and everyone. Thanks again and keep visiting the website.